The new Hyundai i30’s trunk is bigger than ever. 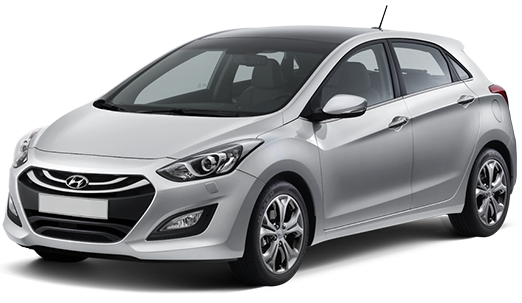 Brandlift’s task was to show this fact to Hyundai fans in a creative and entertaining way. 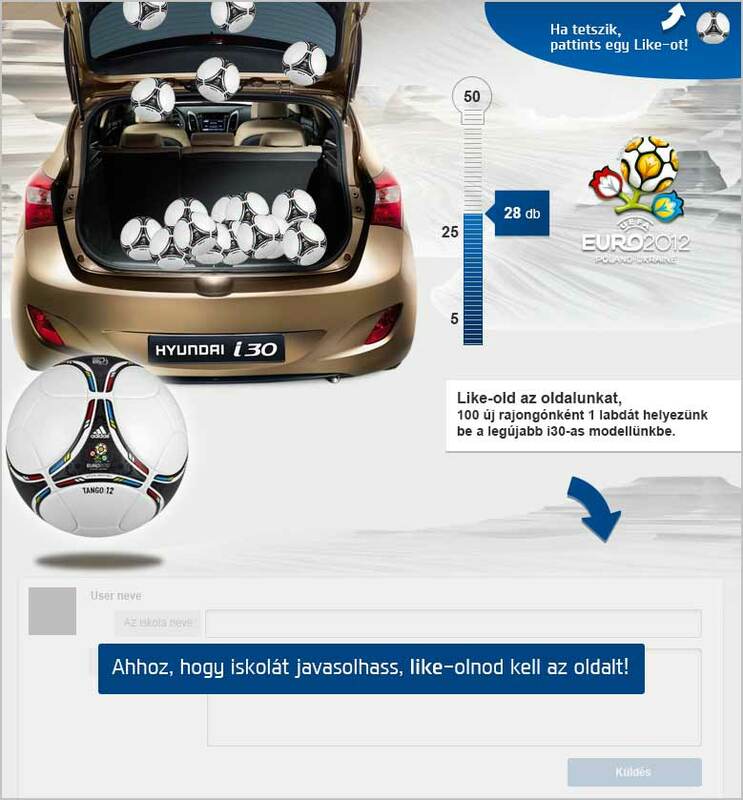 As EURO2012 was right around the corner, we decided, that for every 100 fans the Facebook page gains during the campaign, we will virtually drop an official EURO2012 ball into a Hyundai i30 trunk. During the campaign, elementary schools could register and tell us why they would deserve brand new soccer balls. 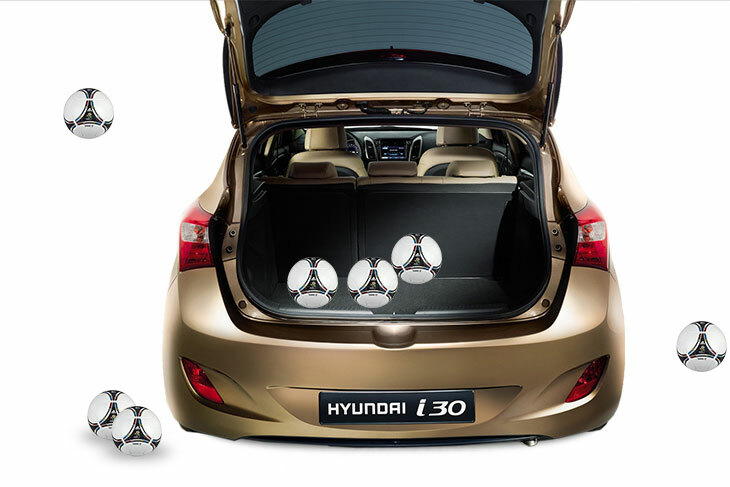 After the campaign, we did this experiment in real life as well, and all the balls that fitted in the i30 trunk were handed out to the winner schools.